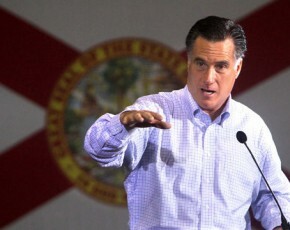 The Midnight Freemasons: Mitt Romney: Freemason Or Not? 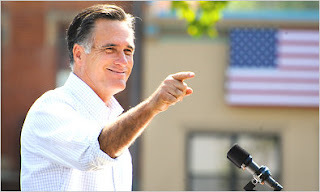 Mitt Romney has become a household name during the 2012 Presidential election. There has been a lot made over the fact he is a Mormon, but another question has been asked repeatedly--is the former Massachusetts governor a Freemason, too? 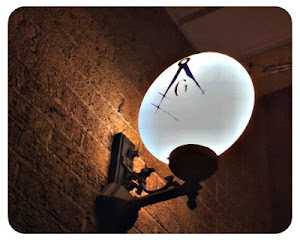 There are a number of articles and blogs posted claiming that Mitt Romney is a Freemason (a 33rd Degree even). There's even a YouTube video that makes that claim, and a few other claims that are somewhat unbelievable--like the assertion that all Mormons are Freemasons! According to the video, before Mormons can join the church they have to be raised a Master Mason (I'm not making that up). Mitt Romney is not a Freemason, and being a Freemason is not a requirement to join the Mormon Church. Challenged numerous times on this point, not one shred of evidence has been supplied that indicates that that either Mitt Romney is a Freemason, or that all Mormons are Freemasons. This is perhaps one of the poorest examples I've done so far in the "Freemason Or Not?" series. Usually there is some basis for the belief the individual in question was a Freemason. Like in the example of President Obama--in a Newsweek photo, it appeared as if the President was wearing a Masonic ring (however, it wasn't his hand in the photo). Or with Walt Disney--he was a Demolay as a boy (which is a Masonic organization) and it was assumed he later joined the Fraternity (but he hadn't). Not a "Masonic" flag--it's Florida's state flag! However, in this case, there is nothing at all to support the assertion that Mitt Romney is a Freemason, or the more ludicrous suggestion that all Mormons are Freemasons. Only one piece I found offered "evidence" which was a photo of Romney standing in front of a "Masonic" flag. I don't know how to break this to you, but that is the state flag of Florida . . . So let me say what I've said several times before--and it is absolutely true. Masons don't keep their membership secret, and there is absolutely no reason to. There have been fourteen United States Presidents that have been Freemasons, countless Senators, Representatives, Supreme Court Justices, high ranking official, etc., and believe me, it's not hard to discover if they are a Freemason or not. I've spent a number of years on the subject of Famous Freemasons, and I've yet to run across a famous Freemason that has tried to hide his affiliation. If Mitt Romney were a Freemason--he'd say so. I am a Mormon and a Freemason BUT, I was a Mormon long before I was a Freemason. It definitely is not a requirement. However my Masonic journey has increased my spirituality and my commitment to my belief in God and my faith. I just finished my Scottish Rite degrees. What a wonderful organization we have. I thank all of you my brothers for the commitment that you have to this great fraternity. I am also a high ranking Freemason, in the English Constitution, and I too was a Mormon long before I was initiated into Freemasonry! I still am both. Why such rubbish is allowed to frequent public websites I can't imagine but I can say that if it were a requirement it might improve both Freemasonry and Mormonism, then again it may not! Both are considered by some to be strange anomalies in today's world - why would anyone wish to promote such high principles as honesty, faith in a deity and a clean living life (I'm being sarcastic, of course). As a British Citizen I am prepared to support such principles and declare them to the world but not because I'm either a Freemason or a Mormon. Neither is essential in order to be a good citizen with true and honest upright principles in practice!